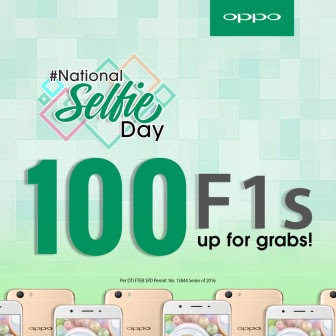 OPPO's #NationalSelfieDay Gives F1s Units to 100 Lucky #SelfieExpert Facebook Users! Participants can start posting their selfie entries on Facebook beginning December 5 midnight. The contest closes on December 26 at 11:59PM.The winners will be announced on December 28 via OPPO’s Facebook page. They will also be notified through e-mail.